Madrid’s streets are crowded with restaurants and bars offering delicious Spanish specialties at every turn. It can be hard to resist the menus del día and tempting tapas, but if you’re here for the long haul, at some point you’ll need to stock your own kitchen and start eating at home. Luckily, there are plenty of amazing kitchen stores in Madrid to provide you with everything you need. A chef is only as good as their ingredients… and kitchen supplies! I could go on and on about the benefits of having a well-equipped kitchen, but I’ll keep it brief. 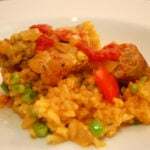 First, if you love both cooking and Spanish food as much as I do, you’ll inevitably want to try making some of it yourself. There’s no better way to learn about cuisine then attempting to recreate it from scratch—but you’ll need the right tools. Second, cooking at home is cost-effective. I know how easy it may seem to spring for another night out instead of grocery shopping and meal planning, but your wallet will thank you. And although investing in equipment from the best kitchen stores in Madrid might seem expensive up front, it’ll pay off in the long term. If you’re ready to dive into the wonderful world of kitchen stores in Madrid, these are some good places to start. From cast-iron pans to vegetable spiralizers, you can find what you’re looking for at Madrid’s top five kitchen shops. Just make sure you save some money for ingredients! The first step to homemade paella? 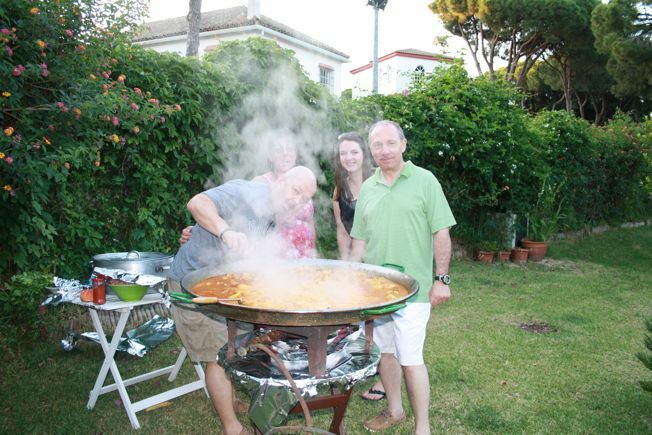 A great paella pan! This is the ultimate temple to the art of cuisine. Opened in 1978, Alambique offers everything from SousVide ovens to paella pans—and all of it is top of the line. It may not be the best place to visit if you’re on a budget… but the admittedly high prices are worth it for the quality you get in return. If you’re ready to make a worthy investment (or several), head to this shop near Ópera or place an order online. Right in the heart of the historic city center, this little store has made a name for itself as one of the best kitchen shops in Madrid. Tescoma is a global chain whose products are sold in more than 100 countries around the world. Tourists and locals flock to its colorful window displays of pots, pans, popsicle molds and pasta makers. Here you can find both kitchen essentials and specialty items to prepare everything from Spanish tortilla to French pastries. It may not be as pretty as some of its competitors, but ROALU is probably the most practical place to shop for kitchen supplies in Madrid. The prices are reasonable and the selection is unbeatable. With more than 1,500 square meters of space, you’re pretty much guaranteed to find what you’re looking for. 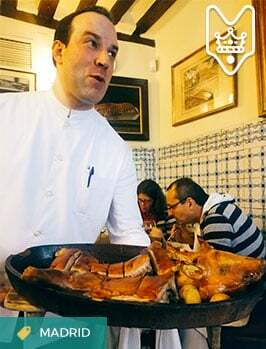 It’s been operating in Malasaña since 1898, when its founder decided to christen it with a combination of his children’ names: Rosalía, Alfonso, and Luis. This little kitchen shop near Antón Martín offers all kinds of supplies for cooking and catering. Mini Cooking is locally owned and downright adorable, with a facade decorated by various utensils and knickknacks. Everything here is affordable and carefully selected, so you know you’re getting great quality for a good price. The customer service is also exceptional; if you have any questions don’t hesitate to ask the staff! Okay, so this place is really less of a kitchen store and more of a knife shop—but knives are certainly one of the most important kinds of cooking equipment. 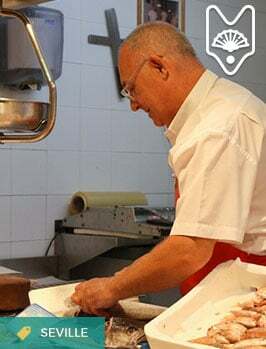 It’s a family-run business that’s been providing quality knives to Madrileños for decades. 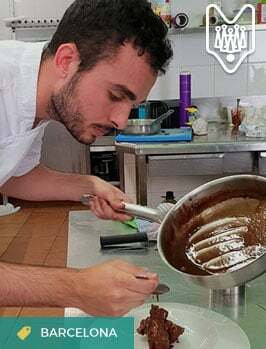 Whether you’re after a certain kind of blade or you just want to upgrade your culinary arsenal, Cuchillerías Simón can help. And despite their name, they do in fact offer other kitchen supplies and even cocktail accessories, plus repairs and sharpening services. 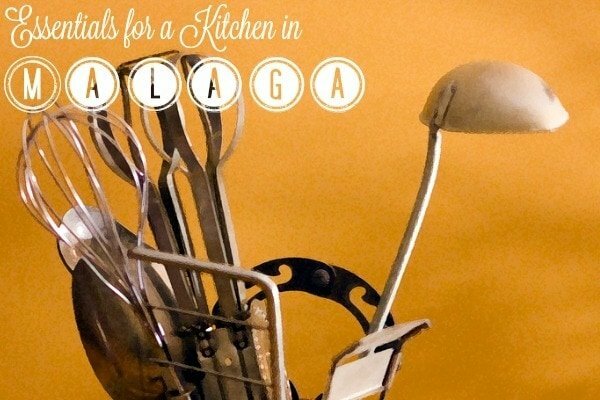 Have you visited any of these kitchen stores in Madrid? What are your favorite spots in the city to buy cooking supplies and equipment? I haven’t visited any of these but I’ve heard great things about Alambique. 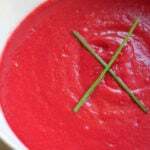 A friend and her husband have taken cooking classes there and have recommended them. So it’s high time I stopped by!